Moth Attracted by Moonlight. 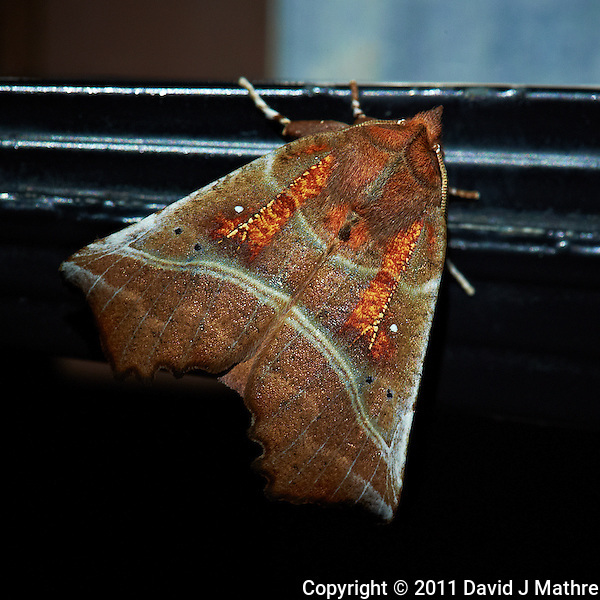 After I was done shooting the moon and deer by moonlight, I saw this Moth. I assume that it was attracted by the moonlight. Moth Attracted by Moonlight. Summer in New Jersey. Image taken with a Nikon D3s and 105 mm f/2.8 macro lens (ISO 800, 105 mm, f/16, 1/30 sec). Raw image processed with Capture One Pro 6 and Photoshop CS5.